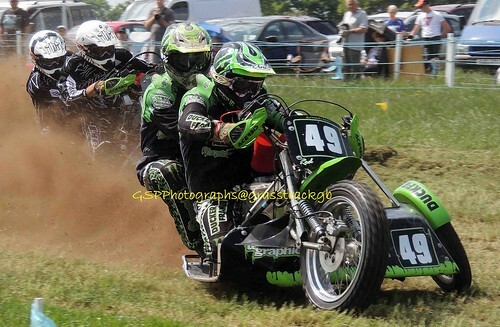 Class: RH Sidecar & 500cc Sidecar (passenger). Drivers: Rod Winterburn, Josh Goodwin, Mark Cossar, Gareth Winterburn, Peter Lloyd, Fred Skinner, Rob Bradley, Robbie Wilson, Gary Southgate, Terry Saunters, Colin Pardoe, Rob Wilson, Myles Simmons, Mitch Godden, Colin Blackbourn. First 2011, 2014, 2018, Third 2009, 2016, 2017. Top Ten Finishes: 2010, 2012, 2015. Day Finals: First 2011, Second 2009, 2012. Challenge: First 2014, Second 2009, 2011. First 2014, Finalist 2015, 2016, 2017, 2018. First 2011, 2013, 2015, 2016, 2017, 2018. Brian Stibbs Trophy Winner: 2011. British Best Pairs: First 2009. British Sand Racing Championship: First 2013, Second 2016, Second 2015. 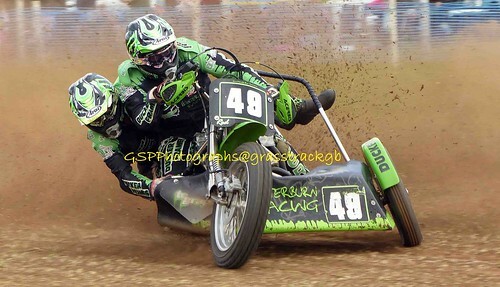 British Sidecar Speedway Championship: Third 2010. 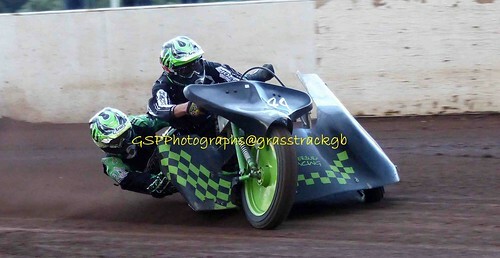 British Track Racing Championship: Third 2010. Eastern Centre Championship: First 2012, 2013, 2018. Midland Centre Championship: Third 2010. South-Eastern Centre Championship: First 2011, Second 2014, 2015, Third 2010. Battle of Britain: First 2010, 2011. Champion of Champions: Second 2016, 2017, Under 30 First 2016. David Nix Memorial: First 2009, 2010, 2012, Second 2011, Third 2008,.
International Lincolnshire Poacher: Second 2013, 2016, 2017, Third 2009, 2011, 2012. Jon Underwood Memorial: First 2012, 2013; Second 2009, 2010, 2011. 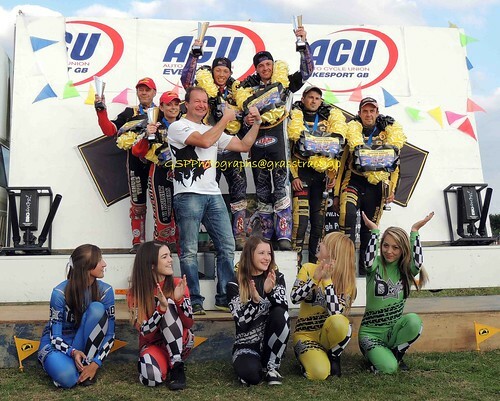 Kings of Speed: Second 2012, Third 2011. Ledbury Leader: First 2009, 2011, Second 2012; Third 2010. 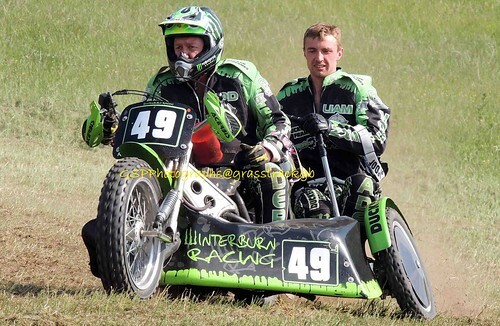 Lester Goodwin Memorial: First 2012. Master of Midshires: First 2009, 2010, 2015; Third 2011, 2013. 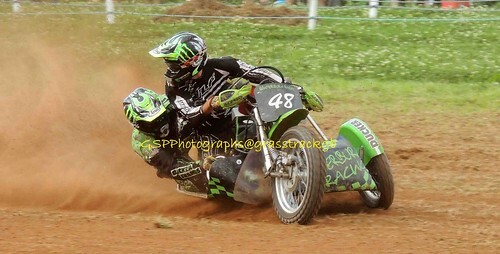 Mick Steer Memorial: Second 2012. Symon Wall Trophy: Second 2012. Three Pairs Flyer: First 2011; Second 2009, 2012. Worcester Winner: First 2009; Second 2008, 2010, 2011. Worcestershire Buildbase Championship: First 2009, Second 2011, 2012, Third 2010. Eastern Centre Championship: Third 2013, 2018. Battle of Britain: First 2017, Second 2018. Jon Underwood Memorial: First 2013. Kings of Speed: First 2012. Ledbury Leader: First 2017, 2018. 2016: Third Astra; 2015: First Coventry, Second Frittenden, Third Astra; 2014: First Cheshire x2, Peterborough, Second Frittenden x2, Dunmow, Third Frittenden; 2013: First Bewdley, Ledbury, Burton & Leicester; Second Wainfleet, Frittenden, Cheshire, Frittenden; 2012: First Fenland, Peterborough, Astra; Second Ledbury, Maidstone, Worcestershire, Fenland, SCA, Worcestershire; Third Dunmow; 2011: First Cornwall Solo, Heart of England, Cheshire, Fenland, Wainfleet, Ledbury, Second Worcestershire, Coventry, Plymouth, Third Frittenden, Worcestershire; 2010: First Cheshire, Plymouth (TRC3), Second Fenland x3, Third Plymouth (TRC1), Wainfleet, Isle of Wight (TRC2), Cornwall Solo, Worcestershire; 2009: First Bewdley, Stoke (BSC6), Second Fenland, Worcestershire, Third Stoke; 2008: Third Leamington Victory; 2007: First Pickering x2, Second Pickering. 2017: First Astra (SS1), Cheshire (SS3), MCP (SS4), SCA (SS5), Third Midshires (SS2); 2016: First Astra (SS), Wainfleet (SS), SCA (SS), Astra, Third H&S; 2015: Third Mid Cornwall; 2013: First Bewdley; Peterchurch; Third SCA, 2012: First Invicta. 2016: Third Hertingen; 2015: Second Stadskanaal, Lattrop, Third Vries; 2014: First Roden, Siddeburen, Third Balkbrug.